Q: WHAT'S THE DUMBEST THING YOU'VE EVER DONE? 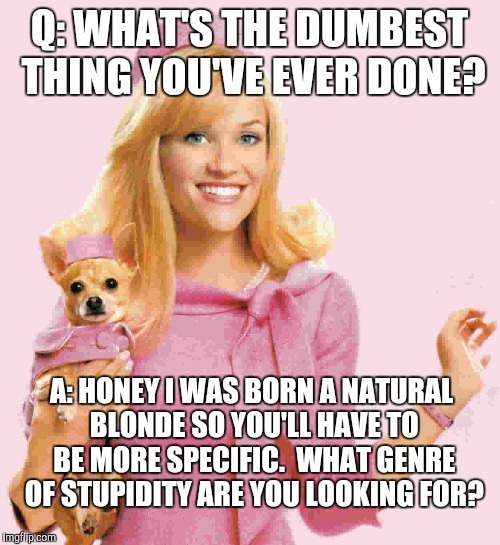 A: HONEY I WAS BORN A NATURAL BLONDE SO YOU'LL HAVE TO BE MORE SPECIFIC. WHAT GENRE OF STUPIDITY ARE YOU LOOKING FOR?